JAKARTA – Western Digital Corp. (WD) reported earnings results for fiscal 2011 and fourth quarter ended July 1, 2011. For this quarter recorded a revenue of $ 2 WD, 4 billion, net income of USD 158 million, or USD0, 67 per share, and shipping the hard drive as many as 54 million units. WD generate USD447 million in cash from operations during the June quarter, bringing total cash and cash equivalents held to be $ 3, 5 billion. For fiscal year 2011, WD posted a revenue of USD9.53 billion and net income of USD726 million, or $ 3, 09 per share, compared with fiscal 2010 revenues of USD9.85 billion and net income of $ 1, 38 billion, or $ 5, 93 per share. “In quartal June, we were able to meet higher demand than expected, especially for our OEM customers,” said John Coyne, president and chief executive officer, told through official statement on Monday (08/01/2011). “We believe that strong demand driven by increased use of sea transport in the second half of this year as the availability of supplies after the earthquake in Japan,” he added. Apple Already Have 10 Million iPhone 5? BEIJING – The issue of the presence of 5 continues to burst the iPhone, Apple’s latest news as a producer has appointed Pegatron manufacturing the smart phone. No half-hearted, 10 million units will be ordered as a first step. Digitimes sources at the company also said that production of the iPhone 5 will be done in the near future, targeting shipments will occur in September. This means that the phone was phenomenal will arrive in the consumer no later than October. Reported Legal, Wednesday (08/03/2011), the presence of the iPhone 5 in the near future more and more apparent after one of the workers in Pegatron have seen the design of the Apple phone, not only that he even had time to use it. In addition, the rumored iPhone 5 is said to have dual-core processor will run the A5 and the new IOS 5. 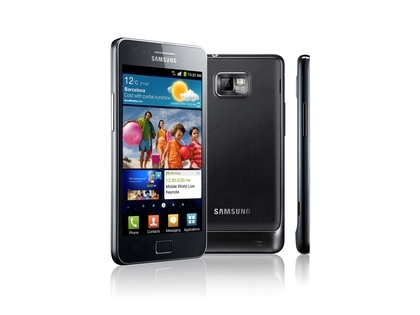 Smartphone said for a larger screen and has an 8 megapixel camera that can record 1080p video resolution. Even the PriceGrabber survey found that 46 percent of respondents wanted the iPhone 5 will have access to the 4G network. While 55 percent expect this brand-new phone is cheaper than previous models. Love of U.S. citizens against Apple is not in doubt. When asked their favorite smartphone operating system, 48 percent answered IOS. Meanwhile, another 19 percent prefer Android, 7 percent said Windows (Microsoft) and 6 percent choose RIM’s BlackBerry. LONDON – Computer Ultrabook new generation of Intel’s allegedly going to dominate the computer market, thanks to all the advantages compared to tablet PCs and smartphones. The statement Intel Corp. Senior Vice President. Tom Kilrov quoted by the Telegraph, Friday (07/22/2011). “Ultrabook is a new way of thinking about computers. That is, this computer can do whatever you need, be mobile, and in a small and lightweight packaging. Besides these computers also have a good battery life,” said Kilrov. Last May, Intel announced a project ultrabook last May, where the computer is a promising new generation of best-in-class performance and increased responsiveness and security in the shape that is sleek and elegant. Intel ultrabook even claimed 40 percent of consumers would look for laptops by the end of 2012. The conviction was again delivered by Kilrov, who insisted that the era of the laptop will not end any time soon, despite the popularity of tablet continue racing. Kilrov claimed it had even received many requests for ‘super computer’ from various manufacturers throughout the world. “We get many requests from manufacturers around the world because, although the tablets and mobile phones are great devices, they do not have the same capabilities as a laptop,” he explained. “We believe the demand for traditional computer equipped with a keyboard would still increase. Users like to create things and most devices with touch screens are less suited for writing long documents or presentations and other jobs are similar,” added Kilrov. Kilrov acknowledged some early computer products ‘super’ will be priced quite expensive. But he insisted that the price will come down after a lot of manufacturing production. The first smartphone running the long-awaited Windows Phone “Mango” operating system was unveiled this morning in Japan. The manufacturer: Fujitsu-Toshiba, who plans to bring the device to Japanese stores and carriers in September. It’s not expected to come to the U.S. The phone, known as the IS12T will be the first device to run the major revamp of the Windows Phone operating system to version 7.5, an update codenamed “Mango.” Coming about a year after the original launch of of Windows Phone, Mango brings with it several new features (Microsoft claims 500), including multitasking and a Groups feature that has deep integration with social networks like Facebook and Twitter. It also has powerful voice-to-text features. The IS12T has other features that go beyond the new OS. The phone is said to be water- and dust-proof, and boasts both 32GB of storage as well as a camera with a whopping 13.2 megapixels. Its processor will be a 1GHz Snapdragon chip from Qualcomm. Users will also be able to use the phone to work on Microsoft Office documents as well as share data through Microsoft’s cloud service, SkyDrive. Microsoft officially unveiled Mango in May. The market share of Windows Phone is relatively small compared to other major OSes like Apple’s iOS, Google’s Android, and RIM’s BlackBerry, pegged at only 2 percent of all smartphones in use, according to data from Millenial Media. However, IDC predicts that Windows Phone will capture 20 percent of the market by 2015. Other partners making Mango Windows Phones include HTC, Samsung, Acer, ZTE, LG, and of course Nokia, which announced a major strategy shift to Windows Phone in January. Nokia is expected to unveil its first Mango phone, possibly called the “Sea Ray,” in October. As for the IS12T, it’ll be on Japanese carriers KDDI and Okinawa Cellular. No prices were announced. The unveiling comes a day after Microsoft said it had sent the final Mango code to manufacturers. You can watch a video report on the Tokyo launch event from Network World below. JAKARTA l SURYA Online-Only two weeks in the announcement, Google + users already touched the figure of 10 million, it is a remarkable achievement considering the previous Google has failed to make social media pages. Ancestry.com founder Paul Allen, who estimates the number of Google users + reached 10 million, despite the readiness of the social networking service itself is not maximized. Google has not officially released figures that service users. Nonetheless, much evidence that shows high user interest against Google + by the number of users already tens of thousands of people at an early stage. Currently, Google is still behind competitors other social networking such as Twitter and Facebook. Twitter has more than 300 million users and Facebook last week announced the number of users has more than 750 million, as quoted from the Telegraph. Here is something from Tag Heuer, for those mobile users who love to flaunt their costly gadgets in order to show off their wealth. It is the elegant watches maker’s first attempt to enter into the business of manufacturing exorbitant Android smartphones. 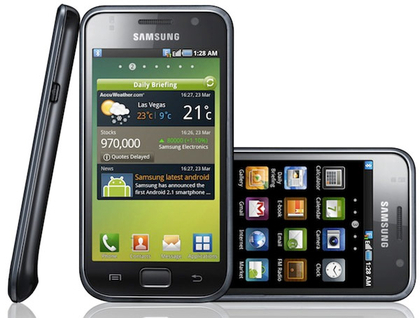 The beautiful handset is named as Link, which runs Android 2.2 Froyo that is quite out dated now a days. The device doesn’t have any unusual or unique feature according to its price that starts at 4700-euro (approx US$6820 or Rs. 3,41,000). The new entrant in the international market comes with a 3.5-inches TFT screen, with some standard Android navigation keys placed at the bottom. 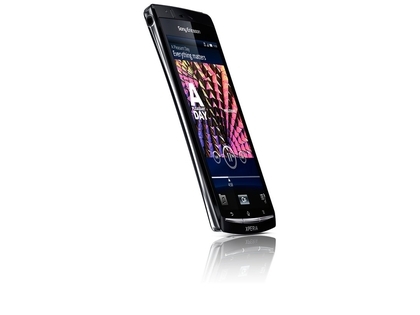 There is a 5-megapixel camera provided for clear pictures, a Stereo Bluetooth and Wi-Fi capabilities are also present. When it comes to the storage space, then the smartphone is limited to a paltry 256MB of internal memory, which is a bit low for a smartphone. Although, you can enhance its memory through a memory card up to 8GB. The new Tag Heuer’s handset offers good talk time of around 6 hours and around two weeks of standby time. The case is provided in wide variety of materials that users can opt according to their likes, which is pretty much like Tag Heuer’s watches. The company offers you it in different choices like you can get it made of steel, titanium or 18K rose gold, along with some diamonds to enhance its looks. In-fact, if you prefer leather then too you can get the case made from Calfskin leather. The link is not actually the first mobile phone, which Tag Heuer has developed. The company also had made Meridiist a mobile phone in the year 2008. However, both of its creations do not have anything unique in features. Lets see how mobile phone users respond towards this mobile phone from the high-end Swiss watch maker. 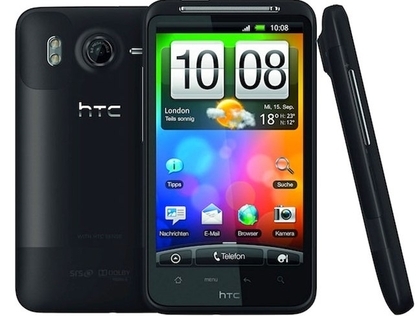 Our best touchscreen phone article is constantly updated. Quite simply, touch screen technology is the innovation we now expect to see in some shape or form from every new smartphone that launches. Swapping a button-bashing existence for a softer sensing interface we can press, swipe, pinch and zoom, means we can now do a little bit more than simply stare into that pint-sized screen of ours. If the only QWERTY keyboard you want to see on a daily basis is the one nestled next to your office computer, here’s our pick of the best touchscreen smartphones available right now in the UK. The Galaxy brand has restored our faith in Samsung’s ability to make great phones, and with Google’s Android OS and some impressive touchscreen technology, the S2 continues that trend. Housed within a supremely slender form, the 4.27-inch Super AMOLED Plus screen is an ideal surrounding for viewing your 8-megapixel snaps. Running on Android 2.3 Gingerbread and packing a 1.2Ghz dual-core Exynos processor ensures there is plenty of zip for your web browsing and with eye-popping colours it’s perfect for watching a plethora of video formats on the go. There’s plenty to laud over Apple’s latest smartphone creation, particularly the 3.5-inch capacitive touch screen and Retina Display which is a vast visual improvement on the 3GS. Admirably serving all your multi-touch, pinch, zoom, cut and pasting needs, the 800:1 contrast ratio and 960x640p resolution makes the iPhone 4 a suitable partner for all your widescreen movie-watching and looking back at your freshly-snapped photos – and web browsing is still a dream on this pin-sharp display. Despite the Xperia Play hogging the media limelight, the Arc has captured our imaginations from the latest range of Sony Ericsson handsets much in part to the gorgeous 4.2-inch touchscreen display. With a curved-body design making it one of the most comfortable to grip in your hand, the new Reality Display which uses LED backlighting along with the Mobile Bravia Engine, should serve your video playback, browsing and deliver a slick response to touch. Setting the benchmark for immensely bright displays, the Galaxy S houses a 4-inch Super AMOLED capacitive touchscreen that does not disappoint. 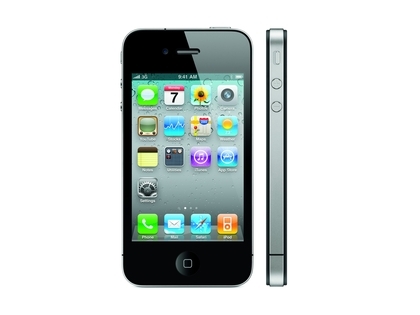 Its 480×800 WVGA resolution is someway behind the iPhone 4 (640×960), but you can still expect vivid colours, true blacks and outstanding contrast ratio. It’s no longer at the top of the pile when it comes to awesome picture quality, having been usurped by its Galaxy S2 brother, but this is still one of the best touchscreen phones to show off in the pub if you want to bedazzle your mates with awe-inspiring picture quality. Sporting a massive 4.3-inch Super LCD touch screen display, the HD has plenty of room for slick manoeuvre around HTC’s overhauled Sense UI. Incorporating the same 480X800 WVGA resolution as the original Desire does, however, mean it lacks the vividness and superior contrast ratios of Samsung’s Super AMOLED displays. Most importantly though, your digits are rewarded with a fluid interface interaction and the kind of satisfying pinch-to-zoom experience we saw with its predecessor, making it a worthy addition to this best touchscreen list.